Passing by the window of this new boutique record store which opened in January this year, some will think of the comic-themed series from their childhood; whilst others will recognise the drawings of Stefan Marx, the blueprint for Hamburg’s techno and house label. You can already get your hands on some of the Smallville newest tunes at La Source on 46 rue Albert Thomas, but this label now has its own wing, with its boutique store on rue Château d’Eau, which is artistically coupled with its Hamburg cousin. Behind the counter, Jacques Bon, the resident DJ and producer with New York-based label Beats In Space, takes care to represent foreign labels, particuarly Giegling. 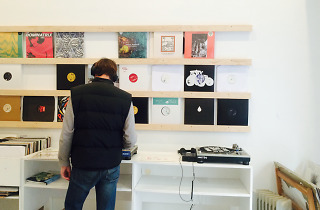 The German boutique invites DJs to play, the centre of the store opens up as a dance floor. Smallville Records puts on an apéro each month to a frenetic Superpitcher rhythm, just one of its monthly events. 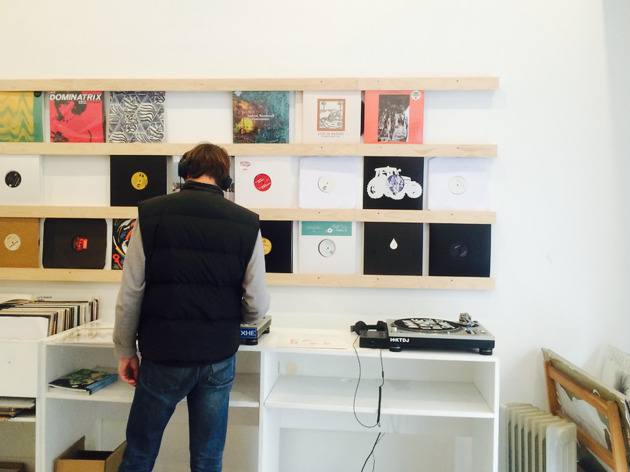 There is an expansive selection of records here, but you can quickly find what you're after. Labels such as Kompakt, Music from Memory of Français Antinote, Correspondant and Versatile have their own sections. The selection of second hand records are at reduced prices, starting from €5 and albums at around €18. Stefan Marx’s posters are sold for €5, which is 10 times less than they are in galleries.